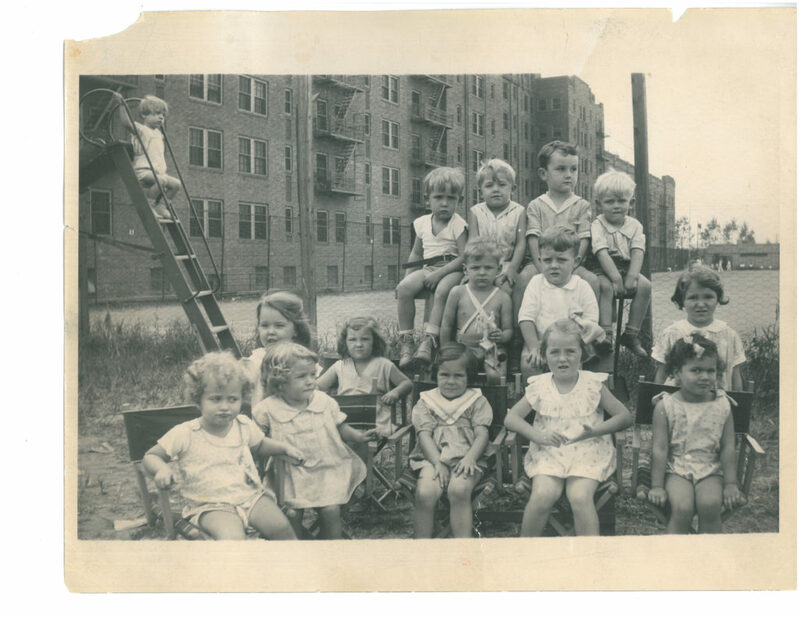 At first glance Sunnyside Gardens can seem frozen in time, a quiet little village sandwiched between the hustle and bustle of Roosevelt Avenue and the train tracks of the Long Island Rail Road. 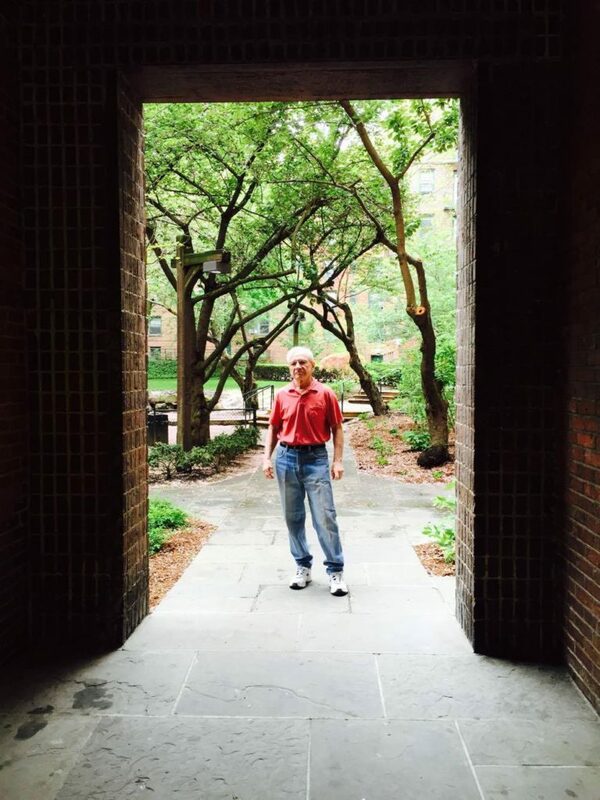 But in the eyes of lifelong resident Gerry Perrin, co-president of Phipps Garden Apartments Tenants Association, the passage of time is visible, especially in the surging development surrounding the Queens neighborhood. Gerry Perrin, co-president of Phipps Garden Apartments Tenants Association, has lived in the apartments since he was a child. “More density, more things that used to be undeveloped are developed,” says Perrin, 81, a retired computer programmer who lives in Sunnyside Garden Apartments, formerly Phipps Garden Apartments. One of these new developments is hitting close to home for Perrin. Phipps Houses intends to rezone the 200-space parking lot across the street from the complex in order to construct a 10-story building. The City Planning Commission certified the rezoning application in March, but the overall land-use approval process will take six months. Phipps says that it intends the new building’s more than 200 units to be affordable, as regulated by new Mandatory Inclusionary Housing legislation, but many residents – including Perrin – say the area isn’t suitable for higher density. One of the first planned communities in the U.S., Sunnyside Gardens – which became a city landmark in 2007–is largely made up of neat rows of Hudson Brick houses with interconnected courtyards. “It was a true mixed-income neighborhood from the beginning, which is rare. When communities are built today it’s all for one class of people,” says architect Nina Rappaport, a former executive director of the Sunnyside Gardens Conservancy, now called the Sunnyside Foundation. 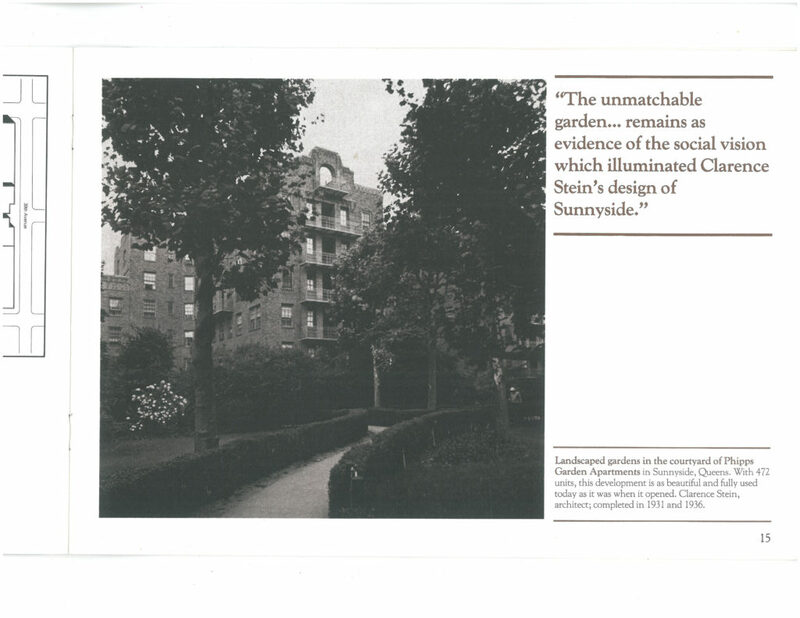 She said Sunnyside Gardens represents a historical as well as architectural precedent. “It was modern in its construction technique but not in its style,” said Rappaport. Foundations were poured and telephone wires were sunk at once. It was constructed quickly and efficiently using the best technologies of the day. “It really should be touted as something significant,” she says. Phipps Garden Apartments represents an attempt to harmoniously insert a larger housing complex into this picturesque context. Perrin’s parents were among the first families to take up residence there in the 1930s, and he has lived his whole life there in four different apartments. Phipps Gardens Apartments nursery, circa 1941. Many of the first residents were Jewish families influenced by the philosophies of socialism and labor Zionism, Perrin said – giving the complex, and the neighborhood, a sense of community and cooperation. Perrin, raised Catholic, sent his children to progressive Jewish summer camps. In recent years Phipps Houses has closed its nursery school and sold off its playground, and some residents say that the maintenance of the structure and its gardens has been steadily diminishing. The new Phipps project has set off decades-old tensions. Many residents of Phipps Garden Apartments oppose the project. Some fear gentrification, while many simply worry about losing parking. Phipps Houses says it wants the building to be 100 percent affordable. Within city guidelines they are pursuing a “50-30-20” breakdown. This means half of the apartments will go to people making 130 percent of the Area Median Income, about one third to tenants making 100 percent of the AMI and the remaining 20 percent to those making half of it. The building will have a preschool, trees and its own parking lot. “We look forward to bringing much-needed affordable housing, parking and new community facility space to Sunnyside. Along with new landscaping and streetscape improvements, our proposal serves to revitalize a block that has been neglected for far too long,” said a spokesperson for the project in an email. At a town hall meeting in October, Phipps Houses CEO Adam Weinstein argued that the project, known as The Barnett, would be good for the neighborhood. 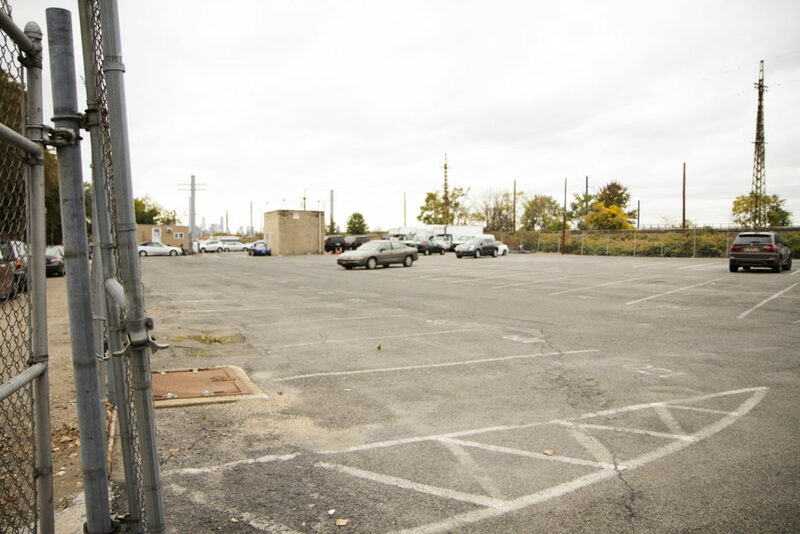 He also stressed that Phipps Houses would be forced to sell the parking lot if the project failed, and that another developer might build something less affordable and less suitable. At the same meeting Phipps Houses architect Herbert Mandel argued that the building’s design would complement the architecture of the neighborhood. The parking lot is not included in the landmark district, falling just outside its perimeter. Many residents shot back that the issue was not affordability, but feasibility. Perrin has collected hundreds of signatures against the proposed building and has walked the streets of the neighborhood, counting the remaining parking spaces, one by one. He supports affordable housing but worries that the neighborhood just can’t absorb the new project without changing its character. “The whole infrastructure is the issue,” he said.